In March 2019, BioTelemetry Inc. acquired Geneva Healthcare Inc., to enhance remote monitoring implantable cardiac devices portfolio. Motherson Sumi Systems Ltd (MSSL), acquires Reydel for USD 201 million. On April 09, 2019, Gentherm Incorporated was recognized as a 2019 Automotive News PACE Award winner for its battery thermal management (BTM) system. Our Strategic-Centric approach makes us the right partner for your business plan! Distinct Data, Supporting statistics, Efficient Research, Increased Coverage, Experienced Personnel, Easy access and More! 24*7 Analyst support to keep your journey to the market smooth and Hurdle-free. ✓ Market size Estimation (Top-Bottom and Bottom-Top approaches). DMI benefits thousands of companies by helping them take their innovations early to the market by providing a complete view of the market with statistical forecasts. DataM follows verified research methodologies and extracts data from authenticated sources. We maintain a comprehensive syndicated business arm through which we publish market reports that have been extensively researched by our in-house analysts. Our unique solutions cater to varied industry verticals. Our prime focus is to provide tailor-made solutions to meet clients' business objectives. Overall, our elaborate research methodologies enable us to provide client-specific precise solutions. Really our experience with DataM Intelligence was excellent. From the first moment the attention was superlative, very simple how to make the payment, and the most important, the report, was just what we were needing to complete a market study. Highly recommended services. 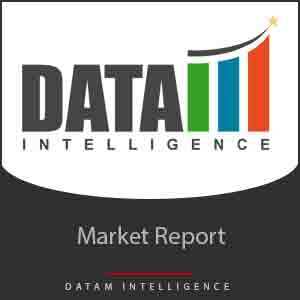 We work regularly with DataM Intelligence for purchasing various industry reports. The analysts at DataM are professional. They follow strictly required research objectives and have never missed our deadline. They also offer great support after purchase. DataM Intelligence is good research partner for every business and organization.